Branched-Chain amino acids commonly known as BCAAs are three amino acids: Leucine, Isoleucine, and Valine that are found in foods that are high in protein. Of the three, Leucine is the most important for bodybuilders because it is a crucial part of protein synthesis. When you exercise, your levels of BCAAs drops which leads to the feeling of fatigue. You can see our Best BCAA Deals & Coupons. Supplementing with BCAAs during an intense workout session can help to lower fatigue which means that you can train at a higher intensity for longer. 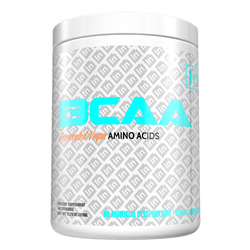 They are also excellent for people who are fasting, and if you are ever planning on fasted cardio (which has been consistently proven to be less effective than regular cardio) then BCAAs is the perfect supplement to take. Almost all BCAAs follow a ratio of 2 parts Leucine to 1 part Isoleucine and 1 part Valine. 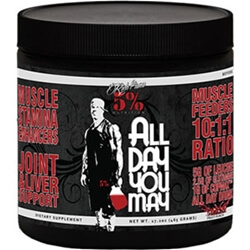 This has been scientifically proven to be the most effective ratio of the three amino acids. Some BCAA supplements do change this ratio up from time to time, so stay on the lookout for that. In this article, we are going to be looking at ten of the best BCAA supplements that are currently on the market. Looking at what makes them so good, and what makes them unique. 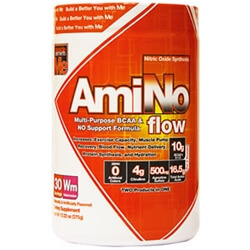 AmiNO Flow is a BCAA supplement and Nitric Oxide supplement all rolled into one. 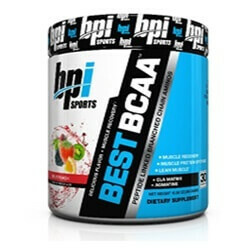 They combine the regular BCAAs in a 3:2:1 ratio which is becoming more and more popular. This means that instead of the product being 50% Leucine, 25% Isoleucine, and 25% Valine they have 50% Leucine, 37.5% Valine, and 12.5% Isoleucine. The product also contains Taurine which is very similar to an amino acid and has been shown to increase fat-loss, prevent loss of testosterone (by working as an anti-oxidant), and improving gym performance. AmiNO Flow also contains Citrulline an amino acid that also helps lower fatigue whilst also improving cardiovascular performance and improved anaerobic performance. It also contains Agmatine Sulfate which increases nitric oxide production. 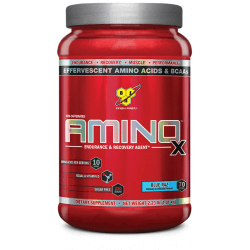 Making AmiNO Flow the perfect peri-workout drink for reducing fatigue and increasing performance, whilst also increasing the pump you get during a hypertrophy workout. We’re always looking at BPI products because they’re a great company with a lot of credibilities. Their Best BCAA supplement is as good as ever. Five grams of BCAAs in each serving using a 2:1:1 ratio, they also contain Agmatine, and Conjugated Linoleic Acid (CLA) which may have a small fat burning ability. There are 8 flavors available with Blue Raspberry the favorite among reviewers. 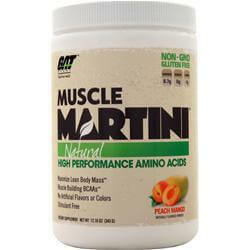 German American Technologies always have a decent product to sell, and their Muscle Martini amino drink is no exception. Containing both BCAAs and essential amino acids (Taurine, Glutamine Lysine etc), this product is perfect as a peri-workout as it will really help to prevent fatigue. Muscle Martini also promises to control appetite, optimize recovery, and help with weight management. Meaning that it may work as a decent post-workout too. The supplement also contains Theanine, Vitamin C, Magnesium, and Vitamin B3. MyProtein is probably the best budget supplement company out there, every product they sell is pretty much guaranteed cheaper than any of the competitors. With many budget companies, this usually causes a massive drop in quality, but this is definitely not the case with MyProtein. Their iBCAA powder contains the 3 amino acids in a 2:1:1 ratio at 5g per serving. There are no other active ingredients, just Leucine, Isoleucine, and Valine. There are 5 flavors available (including unflavoured) and a 2.2lb pack contains 200 servings! Amazing value. 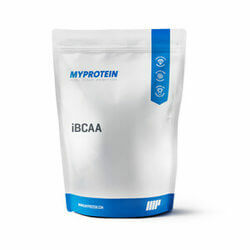 Read our full Myprotein iBCAA Review. Pro Supps is a great company that has been around since 2004, all of their products are pretty unique and always great value. 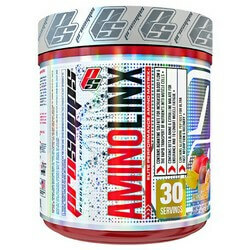 Amino Linx is a really good BCAA that also contains electrolytes and a b-vitamin complex to improve your hydration. They also contain EAAs such as Beta Alanine and Citrulline Malate to improve endurance and lower fatigue. All this plus the usual 5g of BCAAs in a 2:1:1 ratio. What’s great about Inspired Neutraceuticals’ BCAA product is that their BCAAs come from vegan sources, they’ve also added Aquamin electrolytes that are supposed to increase bone, joint, and digestive health. Whilst also increasing hydration. They have kept their ingredient list short as it is designed to be stacked with their Devastate supplement range. No fillers in their product and complete transparency throughout. Rich Piana has created an excellent BCAA supplement here, although the title could best be described as idiosyncratic! There’s 6g of BCAAs in every serving rather than the usual 5g, and a blend of EAAs too. Then there’s Taurine, and coconut water extract for added hydration and reduced fatigue, plus beta-alanine and a joint-support blend. A pretty decent product all in all. 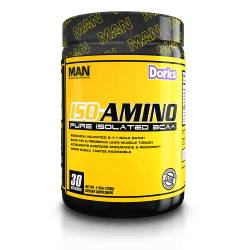 As with the MyProtein product that we looked at earlier, Iso-Amino by MAN is just pure BCAAs. 5g of them in each serving following a 2:1:1 ratio. There are around eleven different flavors and three different sizes available (8 servings, 30 servings, and 90 servings). But other than that? You get exactly what you wanted, BCAAs. Probably one of the most well-known and respected supplement companies out there, Optimum Nutrition are always a safe bet. Their BCAA supplement is fairly standard with 5g of BCAAs per serving, they’ve also added a herb called Rhodiola which seems to have anti-fatiguing effects, and improve focus. The product comes in a choice of four flavors, with Cranberry lemonade being particularly popular. 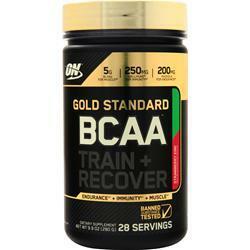 Our last BCAA product comes from BSN and was voted BCAA supplement of the year 2014 by Bodybuilding.com. This supplement is promoted as a post-workout which is quite unusual for a BCAA supplement, they’re usually pre or peri-workout. The product contains a blend of amino acids, both BCAA and EAA (Alanine, Citrulline, Taurine). It also contains Vitamin D. There are five flavors available.